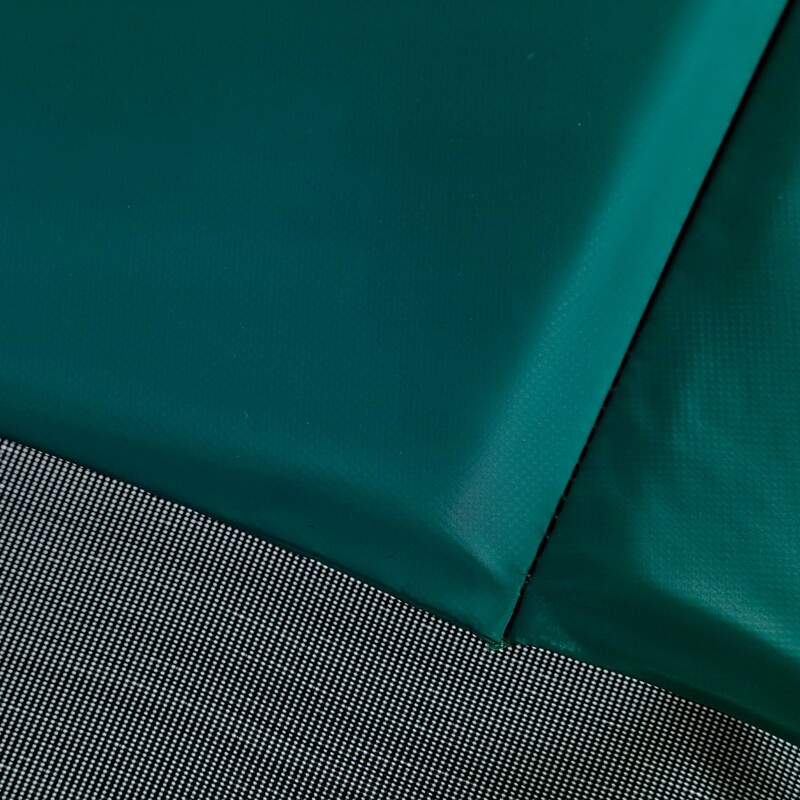 The rectangular Apollo Sport 300 trampoline is intended for intensive use and fits perfectly into small areas, with its surface area of 3.10 x 2.15 m.
- The jumping area is a good size as it measures 2.65 m by 1.60 m, perfect for children, teenagers and even adults. 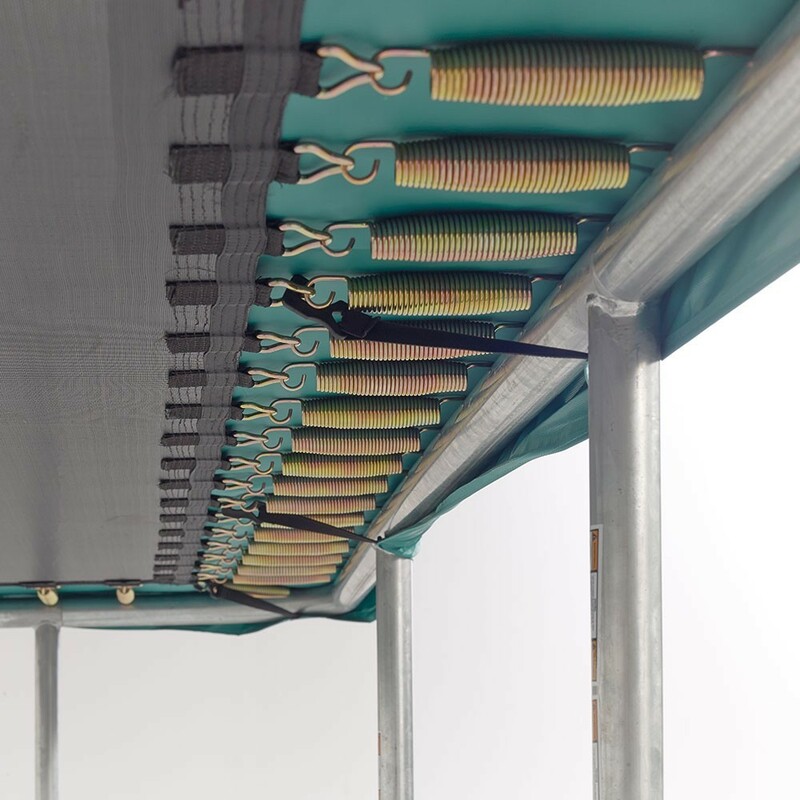 The rectangular shape and 68 springs of 180 mm in length, grant the trampoline a lot of power for dynamic and energetic bounces. 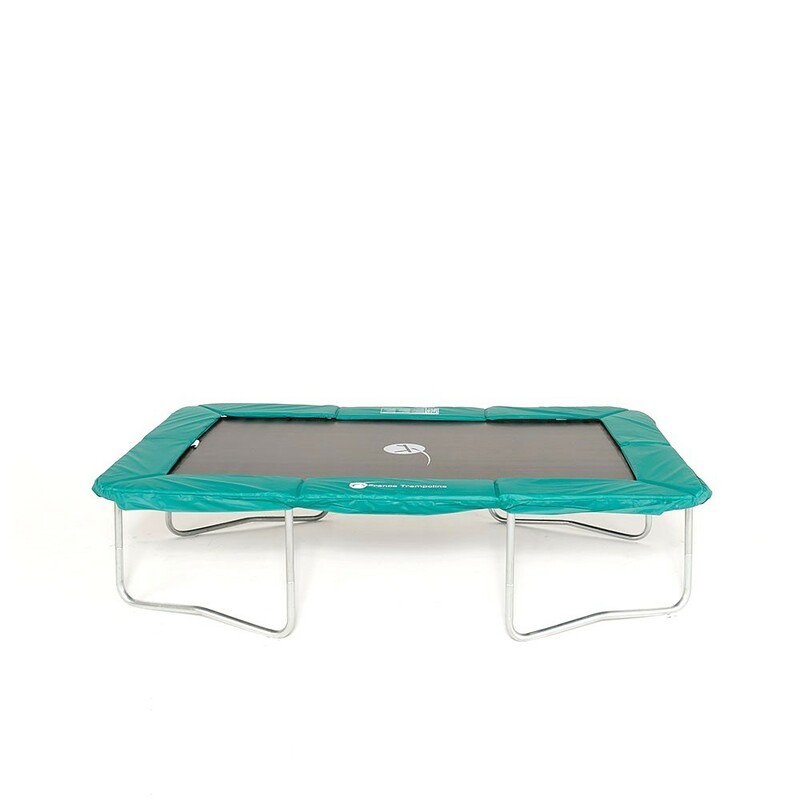 - The Apollo Sport 300 is a small but powerful trampoline which can withstand weights of up to 130 kg. - Thanks to the framework, which has been hot-dip galvanized, it can resist all weather. conditions. 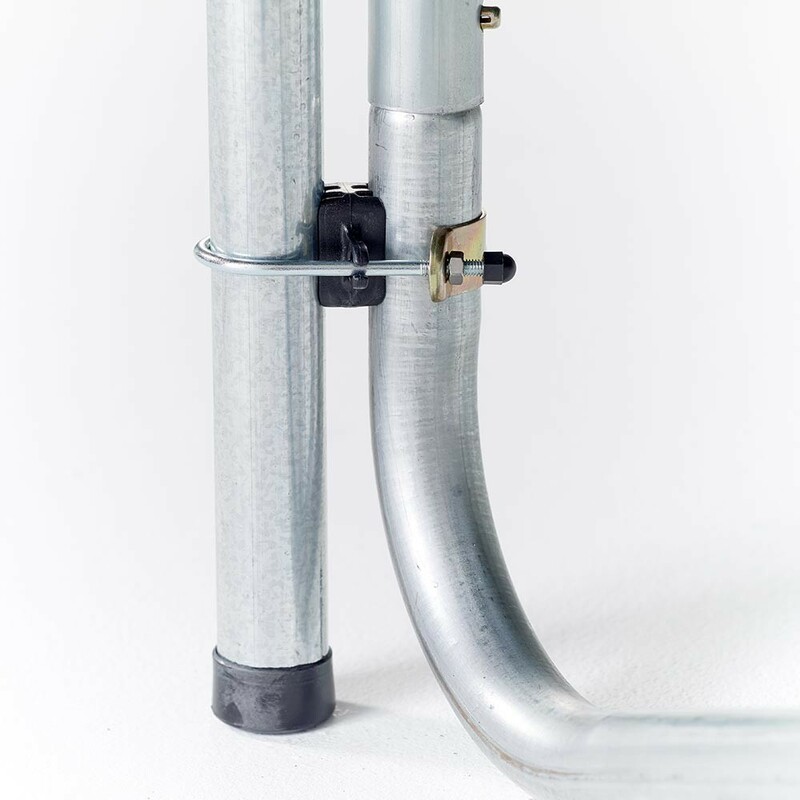 The tubes have a diameter of 50.8 mm and the steel is 2 mm thick which guarantees long lasting quality. 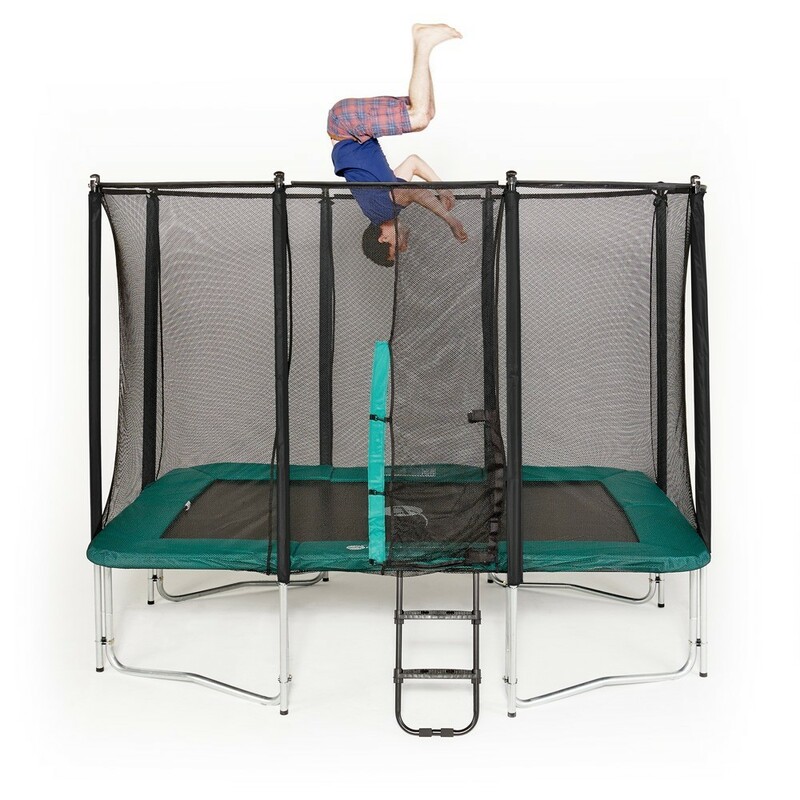 - The dark green frame pad is 25 mm thick and 32 cm large which completely covers the framework and the springs of the trampoline. It will cushion any fall and there is less risk of injury if you come out of the jumping area. 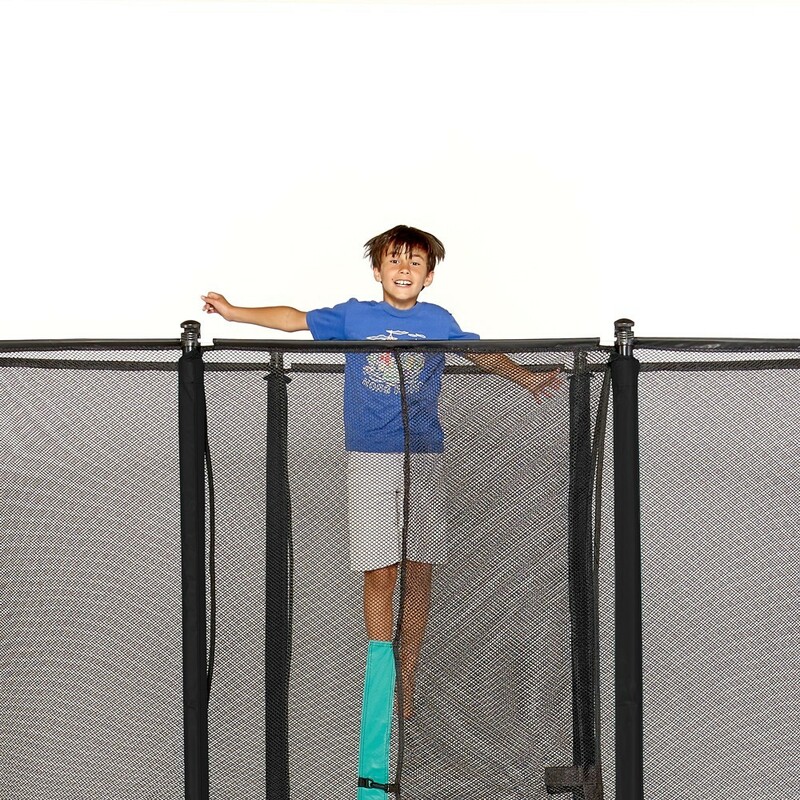 - The jumping mat is made out of a UV-protected, high quality, resistant mesh material. 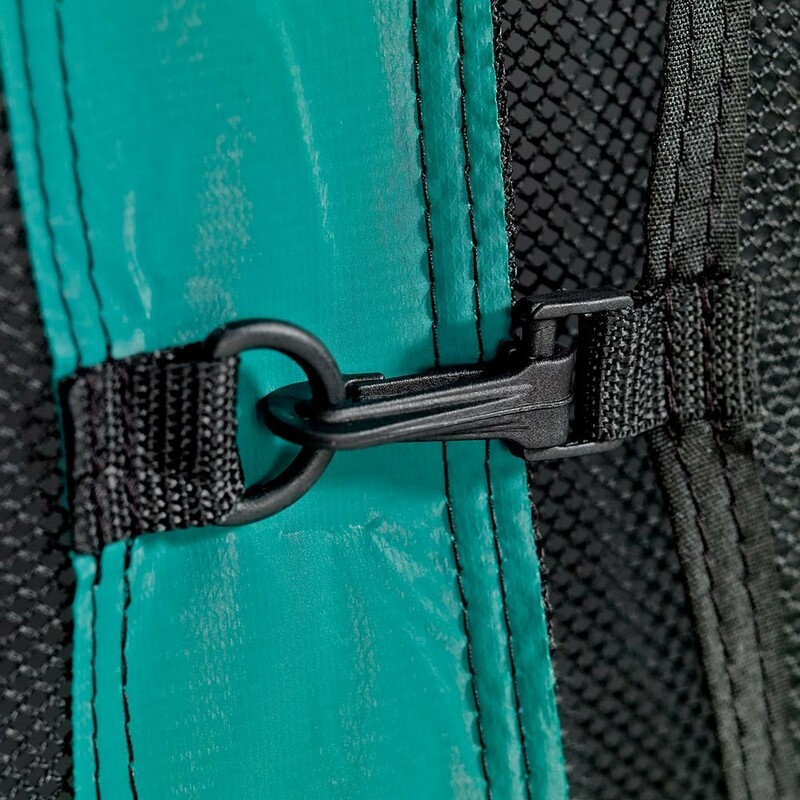 To reinforce the solidity of the mat, 8 rows of stitches and a strengthening strip have been added under the rings where the springs attach. 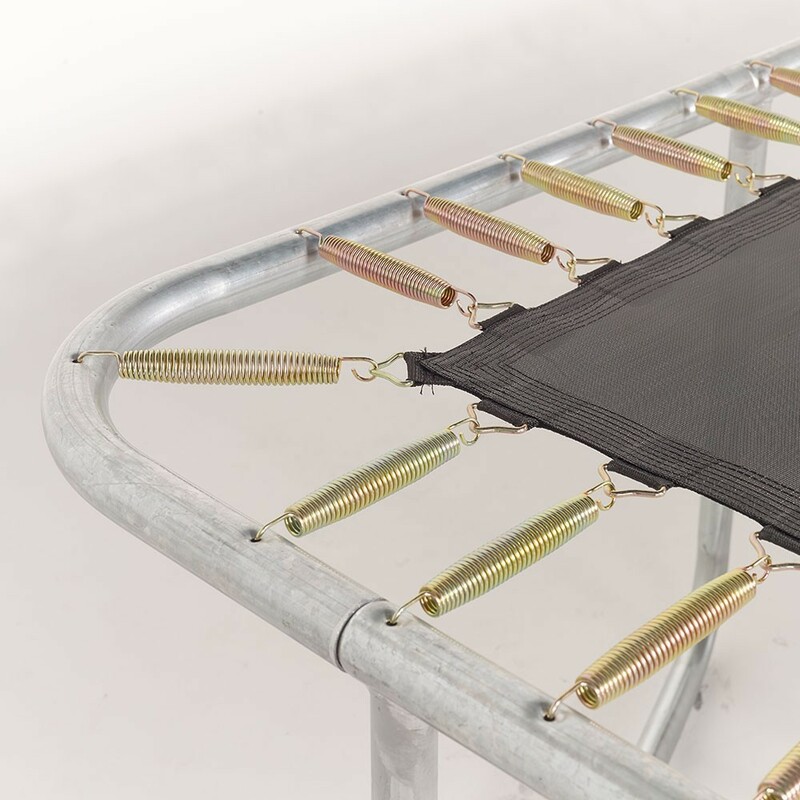 - In comparison to rival trampolines, which use polyethylene of 130 g/m², this trampoline has a PREMIUM enclosure made of stronger polyester of 180 g/m². 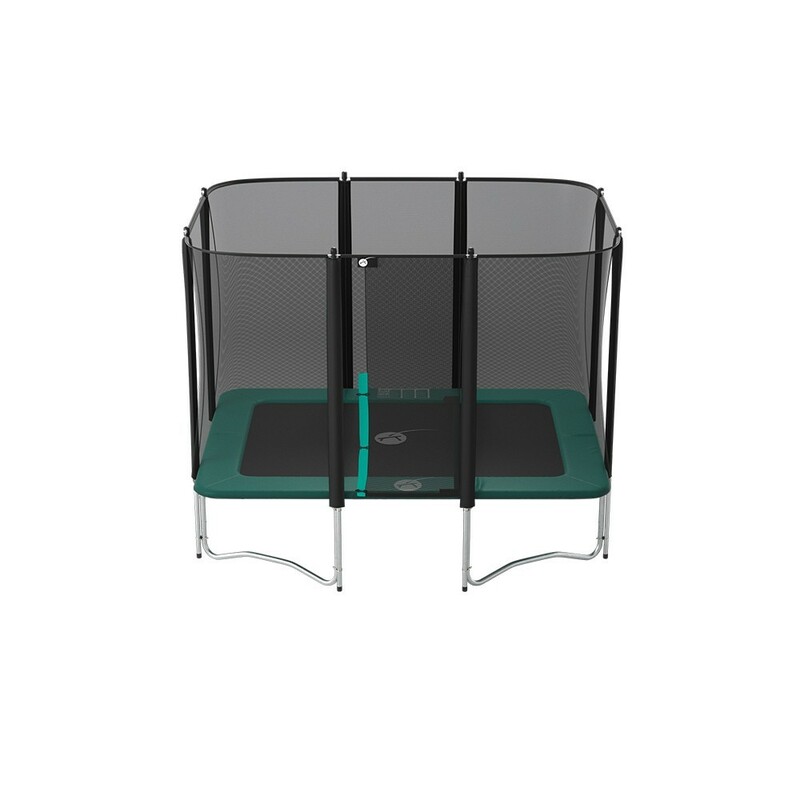 Thanks to its net posts of 38 mm in diameter which go down to the ground, the trampoline is resistant and stable. 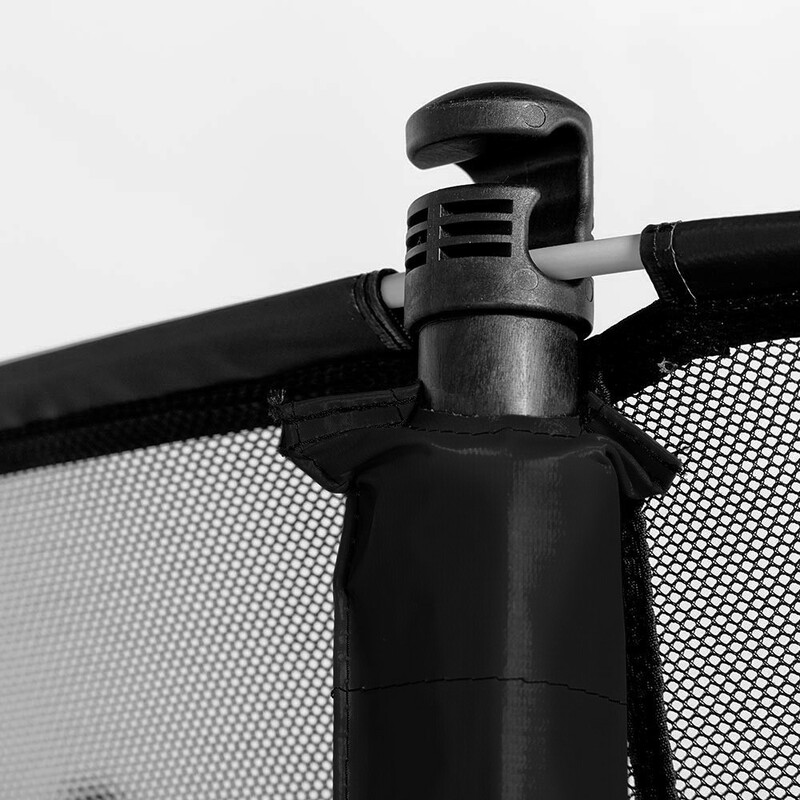 The top of the net is reinforced using fibreglass rods, ensuring that the net is correctly stretched, guaranteeing maximum safety. 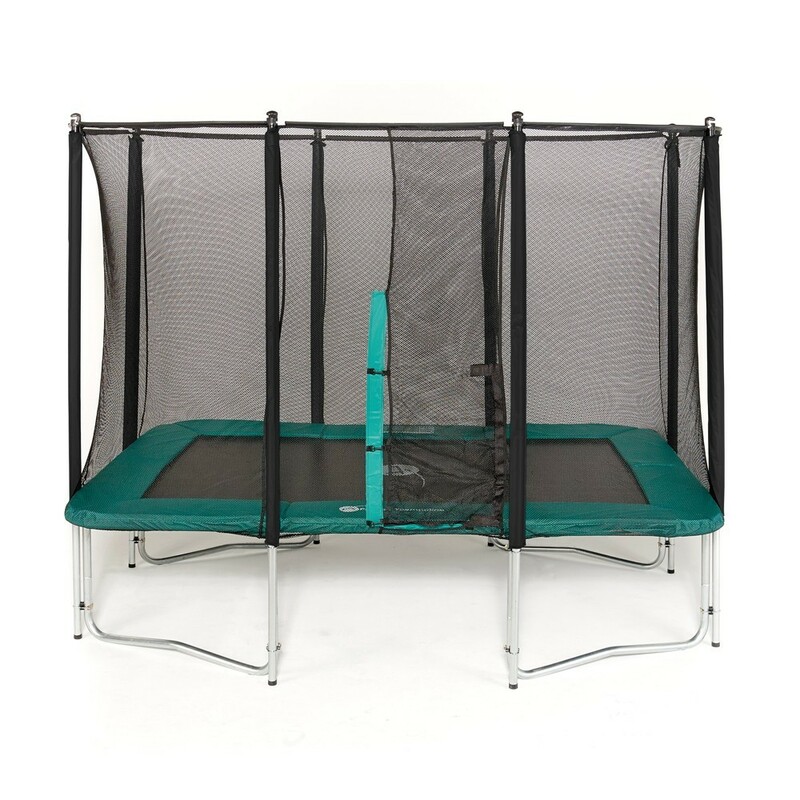 The enclosure has an overlapped entrance, the door of the trampoline has a double layer of netting which closes using Velcro and clips. 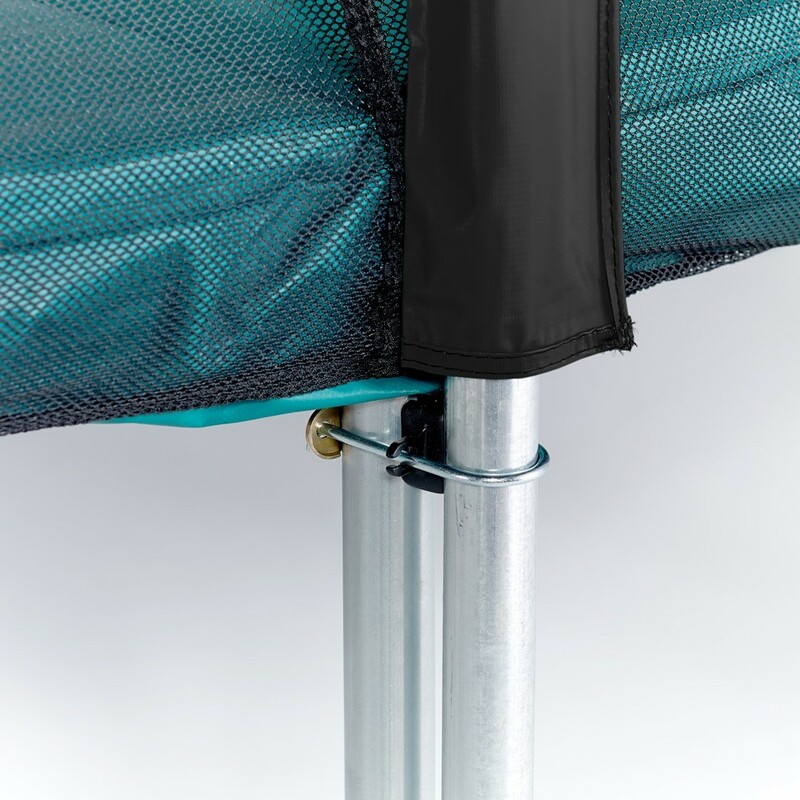 The Apollo trampolines are equipped with a Premium quality safety net, and the net's steel frame tubes go all the way to the ground for optimal stability. 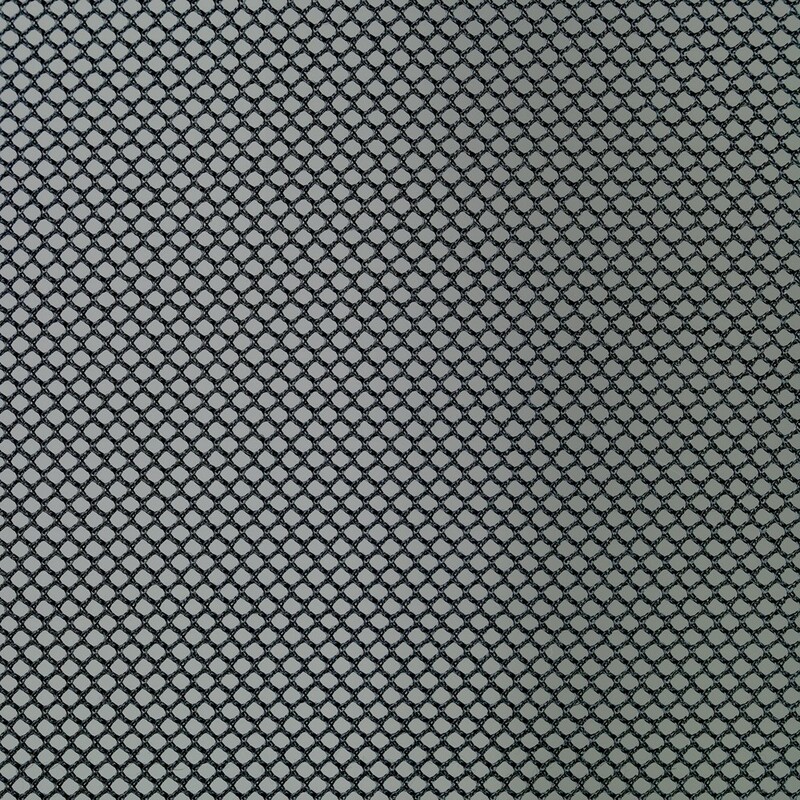 The net's perfect tension is ensured by fiberglass rods. The opening is secured by a double-closing system.